Earlier, Congress women wing chief Sushmita Dev said her party was planning to scrap the triple talaq bill. New Delhi: Muslim women and the people of India will not forgive the Congress for its “perverted mentality”, the BJP said on Thursday after the opposition party announced that it will scrap the law banning triple talaq if it forms government in 2019. Accusing the Congress of following the policy of appeasement, the BJP also referred to the “audacity” of Rahul Gandhi in not caring about the Supreme Court. “What kind of mentality is this? This is only to appease. The people of this country are looking. Neither Muslim women nor the people of this country will forgive Rahul Gandhi for this kind of perverted mentality,” said BJP spokesperson Sambit Patra. His comments came after Congress’ women wing chief Sushmita Dev promised to scrap the law banning triple talaq if the party comes to power in the general elections. Addressing the party’s Minority Department convention, she also alleged that Prime Minister Narendra Modi had created an atmosphere pitting Muslim women against Muslim men through the law. “A lot of people told us that women will be empowered if the triple talaq bill is passed. But we opposed that law because it is a weapon that Narendra Modi ji has prepared to put Muslim men in jail and make them stand in police stations,” Dev said at the Congress’ Minority Department convention. She hailed Muslim women from all parts of the country for writing “crores of letters, carrying out signature campaigns and rebelling against” the law. “The Congress party stood up and opposed it in Parliament. I promise you people that the Congress government will come in 2019 and we will scrap this law. But it is also certain that whatever law is brought for women’s empowerment, by whichever government, the Congress will support it,” Dev said. 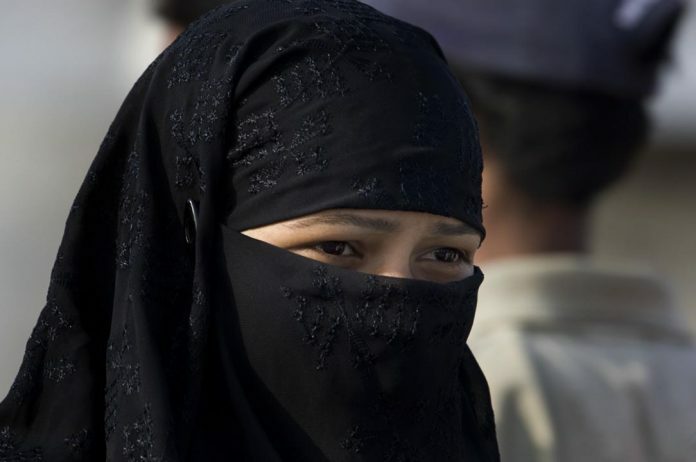 With the triple talaq bill continuing to face resistance in the Rajya Sabha, the central government issued an ordinance in September last year, incorporating certain amendments. The ordinance was re-promulgated last month as the first one was about to expire. “Look at the audacity of Mr Rahul Gandhi? His party… to appease says that if we come to power, we will not care about the Supreme Court (and) we will ban the ordinance, the law, the bill Mr. Modi is trying to bring in consonance to what Supreme Court has said,” Patra said at a press conference. The Supreme Court’s constitution bench banned triple talaq saying it is not constitutional, Patra added. “Women should have right of life. Women should lead a life as anyone else in this beautiful country and beautiful democracy. This is why Supreme Court through a constitution bench struck down triple talaq,” he said. The central government maintains that despite the Supreme Court striking down the practice of talaq-e-biddat (instant triple talaq) as unconstitutional, men were divorcing their wives on flimsy grounds and even via WhatsApp. The secular congress had no qualms when it interfered with Hindu marriage laws and imposed monogamy on Hindu men and women in the name of modernity. This clearly shows that the mughal origin congress dynasty is an arm of Islamic fascists and the ISI.